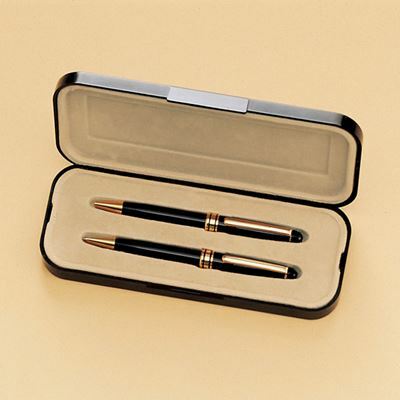 Elegant Euro style pen and pencil set in molded gift box. Black only. Lettering limited to 35 characters of text or a small logo. Artwork set up charges may apply. Two sided/two location imprint additional (Contact Us for quote).